You’ve probably been hearing more about Snapchat as a platform for marketers to explore, and for good reason—Snapchat is driving more than 6 billion daily video views, all from mobile devices. We already see marketers struggle to make meaning from established data sources. It’s understandable why a new and complicated platform like Snapchat without formal analytics would be hard for marketers to dive right into. On Snapchat, marketers should focus less on the number of connected followers they have and more on the number of people consuming their stories. In fact, most users can’t even see how many followers they have on Snapchat—instead, you can measure how many people view your snaps on average. 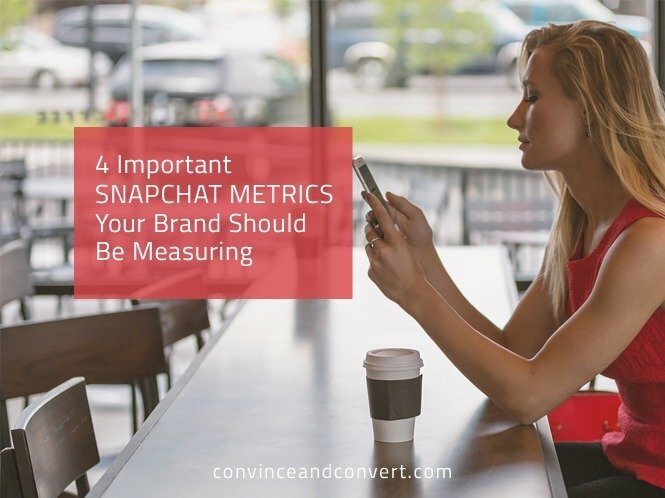 Fortunately, as we’ve built our Snapchat analytics tool, we’ve put together some of our findings from this year and distilled then into the four key metrics that will get you started. The total unique views are the number of people who have opened up the first frame in your Snapchat story for at least a second. It can be found by looking at the number of people who opened the first snap of a story every 24 hours. On Snapchat, users can post an unlimited number of Snaps, each up to 10 seconds long. Every 24 hours, users watch the story from the first snap to the last snap each time they watch a story. One interesting thing about Total Unique Views is that it’s on par with what Snapchat delivers themselves as ads metrics. If you are a brand who is paying Snapchat to run ads on the platform, you’re only running one 10-second video at a time in the context of a Snapchat-curated story. On a story, you can create an unlimited number of these 10-second videos, meaning you can get users to engage with your brand’s message longer than on Snapchat ads. The tradeoff is that you’re at the mercy of the number of your audience’s connections and the ability to break through stories from friends and influencers. When you post a story that is multiple frames long, look at the number of people who have viewed the last snap to measure the number of people who have completed your entire story. The more people who viewed the last frame of your story, the more people who watched it all the way through and consumed that content. Snapchat is like a storybook, with a beginning, middle, and end. Fortunately for us, Snapchat lets us see how many people have viewed each chapter along the way, as described above. Completion rate is the percentage of people that started viewing that story compared to how many of them saw the last part of a story. We see Facebook and YouTube often look at completion rate as a metric of engagement with a particular piece of content. While those are usually looked at as one video, on Snapchat we find that many users are consuming content in one sitting, even if creators and brands are posting throughout the day. On Snapchat, there are no real likes, comments, or shares, but Snapchat does show users how many people have taken screenshots of their Snaps. Those screenshots can be used as an engagement tool. For example, you could encourage people to screenshot three choices, in a “choose-your-own adventure” type of story. Or, as used by Chris Mikulin’s Yo-Yo company CLYW, you can use screenshots as a polling device, asking people to screenshot their favorite product design to collect valuable feedback. Record the number of screenshots, and then follow up with your users with the results. Measuring Snapchat analytics isn’t always the easiest, as there are no native brand tools yet, as there are with Facebook and Twitter, and few software solutions. It’s more like the early days of Instagram—a new and evolving process that marketers need to grow and learn with as Snapchat continues to prove its value. Just because it takes a little bit longer to measure doesn’t mean you shouldn’t take the time to record your results. As we’ve seen, the results are massive. By taking a little extra time to understand the performance of your stories, you can actually learn a lot about your audience. As with any communication channel, you’re still fighting for attention with a number of different sources of content within Snapchat alone. Using data to understand how your content is performing is essential to understanding how, why, and if you should spend the resources there.